kind of a big mouthful. 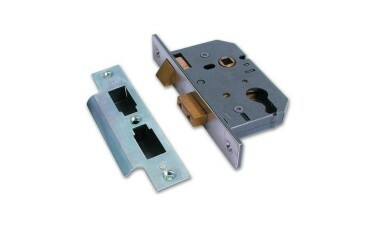 sash lock cases on the market at the particular time. has been undermined in any sort of way. gets fitted into the door, hence the term mortise. and you can turn the latch around depending on the hanging of the door. the good reasons why it's considered a good quality lock. will give you an idea of what a two and a half inch lock case. new. It comes also in a stainless steel finish as well. so forth on the bolt, et cetera. then, you just open the door because you've got no frame. get at this as well. It makes the job a hell of a lot harder. It comes as standard with fixings as well. Without further ado let me get some measurements for you. is suitable for your door and your application. height there of 153 millimeters. millimeters. The thickness there is 16 millimeters. pop us an email. We'd love to hear from you. Hopefully, you may consider buying from us as well. of the tech team. Take care. Until later, bye bye now.